God is everywhere. He is ever-present, and always available when we seek Him. However, God is not meant to be a good luck charm nor a star to wish upon; He is the Creator of all and the One on whom we can always depend. To truly acknowledge the Lord, we need to both praise Him for His provision and seek Him in our lack. We are meant to go to Him in all things and at all times, as the Lord is always good, even when our circumstances are not. May we ever take to heart who God is and how He loves, so that we will seek and depend on the Lord and give Him praise for all of our days. Of all, not just part. He sees and He knows. Dear Heavenly Father, thank You that You are the God in heaven and on earth below. Thank You that there is none like You. Thank You that as we seek You we find You and are granted help and hope and life. Forgive us for turning to anything or anyone other than You, as You are the only God there is. Teach us to trust You in all things and at all times, as You alone have the power to bring help and hope and healing where it is needed most. Show us how to love those around us, so that we may extend Your goodness and grace in a way that points people to You. May many come into a lasting relationship with You. Be glorified O God, as we acknowledge who You are and trust You in all things. Amen. This entry was posted in Awe, Blessing, Comfort, Community, Courage, Faith, Forgiveness, Gentleness, Grace, Gratitude, Healing, Hope, Humility, Kindness, Love, Mercy, New, Obedience, Offering, Peace, Poetry, Possibilities, Praise, Purpose, Serve, Strength, Surrender, Trust, Voice, Worship and tagged above, acknowledge, all day long, all things, all times, always available, always good, anyone, anything, circumstances, Creator of all, depend, Deuteronomy 4, earth below, ever present, everywhere, extend, find You, forgive, give praise, gives help, glorified, go, God, good luck charm, goodness, grace, granted, healing, heaven above, help, His face, His love, hope, know this, lack, life, Lord, love, loves, meant, need, needed, no other, none like You, One, only God, paths, people, points, power, praise, provision, remember, seek, seek Him, seek You, show, star to wish upon, take to heart, teach, this day, trust, turning, walk well, ways, You alone. Bookmark the permalink. God calls us to love people like family; His family. This sort of love runs deep, and draws others in. It is not selfish nor rude, but rather delights in honoring others above ourselves. When we show love as God loves us, we give a window to the world to the very heart of God. May we love each other in a way that makes us feel close like sisters and brothers, and honor one another more than ourselves. Let our love be light that points people to Christ. In all He has done. Of hope let us tell. And He is made known. Dear Heavenly Father, thank You that You love us in the very way that You call us to love others. Thank You that You draw near and delight in us. Forgive us for not loving those around us as we are called to love. Teach us to trust You more, so that we would love with all that we are, and honor others above ourselves. Show us how to love like You, so that all might see Your love made evident through us. May many come into a lasting relationship with You. Be glorified O God, as we love each other with genuine affection, and take delight in honoring each other as we are called to do. Amen. This entry was posted in Awe, Blessing, Comfort, Community, Faith, Forgiveness, Gentleness, Grace, Gratitude, Hope, Humility, Joy, Kindness, Love, Mercy, New, Obedience, Peace, Poetry, Possibilities, Praise, Purpose, Serve, Strength, Surrender, Trust, Voice, Worship and tagged become, brothers and sisters, calls, center, close, delight, delights, done, draws, evident, fake, family, feel, forgive, genuine affection, give, glorified, God, good friends, grace, heart of god, His family, honor, honoring others, hope, joy, known, lift up, light, love, love deeply, love each other, love people, more, points, power, practice, praise, Romans 12, rude, runs deep, selfish, show, shown, teach, tell, thank, trust, way, well, window to the world, wisdom. Bookmark the permalink. The plans and purposes of God cannot be altered nor changed by human persuasion. Just because we think we know what may be best, God’s ways are always higher than our ways, and His plans higher than ours. God wants the very best for us, His created, so He will not allow our short-sightedness to shake His plans for our ultimate good. Instead, He stirs in us, a desire to seek Him and His will. As we follow after Him, He draws us unto Himself, and points us to the path that leads us on to life everlasting. May we choose to give ear to His leading, so that we might walk in the light of His love where He is calling. Let every heart seek the Lord, and answer that which He is asking. By faith, pray, be still. Dear Heavenly Father, thank You that Your plans stand firm forever, no matter what goes on in the world around us. Thank You that Your intentions can never be shaken. Forgive us for the lack of security in our stance at times, as we are easily shaken when things around us fall apart or go sideways. Teach us to trust You more, so that no matter what goes on in or around us, we know that Your ultimate plan remains. Show us how to love others in such a way, that they might see You through what we say and do. May many come into a lasting relationship with You. Be glorified O God, as we seek to follow the plan that You place before us, and to trust in the way You call us to walk. Amen. This entry was posted in Awe, Blessing, Comfort, Community, Confess, Courage, Faith, Fear, Forgiveness, Freedom, Gentleness, Grace, Gratitude, Hope, Humility, Joy, Kindness, Love, Mercy, Obedience, Peace, Poetry, Possibilities, Praise, Purpose, Strength, Surrender, Trust, Voice, Worship and tagged allow, altered, asking, awaken, best, calling, changed, choose, created, desire, divide, draws, end of time, eternal, faith, faithfulness, firm, follow, forever, forgive, generations, gentleness, give ear, God, goodness, heart, higher, intentions, joy, kindness, lack, last, leads, life everlasting, light, Lord, love, path, patience, peace, persuasion, plans, points, pray, psalm 33, purposes, seek, self-control, shaken, short-sightedness, show, side, stance, stand, still, stir, teach, thoughts, trust, walk, ways. Bookmark the permalink. The Holy Spirit within us grants us hope in our spaces of greatest need. Love from the Lord fills our hearts, and points to the places where hope is held, even when darkness seeks to destroy. It is our charge to look to the Lord when we struggle to hold His hope. He meets us in our moments of need, and floods us with His love. There is a delicate balance between hope for the future, and truly fixing our ultimate hope in Him alone. Right now, this is a very personal struggle as I wait, not so patiently, for my back to heal from a compression fracture. It has been two very long months, and I am really ready to resume my full activity level with a vengeance. That being said, I must wait and see what the specialist says today after I get a new set of x-rays and he looks at my progress. My hope is that he will say that my back is better and I can return to all activities, but I know that I must really place my hope in the Lord, and trust that He has my very best in mind, and whatever the verdict, I am loved and I am held. God will carry me, regardless of the outcome. If I am cleared, the Lord will grant wisdom as to how I am to resume regular activities. If I am not, He will sustain my sanity, and grant me the grace that is needed to continue to wait for my body to heal. When we hope in the Lord, we will never be disappointed. His love never fails. Humans fail. God never fails. May we place our trust in Him and allow the Lord to hold our heart and our hope as we go forward into this brand new day. Let Him lead the way? Dear Heavenly Father, thank You that hope in You will never fail to satisfy our deepest need because Your Holy Spirit dwells within us, and floods our hearts with Your love. Thank You that no matter what surrounds us, Your hope is ahead of us. Forgive us for our fearfulness and lack of faith when things seem hopeless through our own eyes. Teach us to trust You more, and to hold fast to an eternal perspective rather than one that is temporary. There is so much more than the here and now. Show us how to love others well, so that they too, might see the hope that is found in You alone. May many come into a lasting relationship with You. Be glorified O God, as we hope in You and allow Your love to flood our hearts and overflow to those around us. Amen. This entry was posted in Awe, Blessing, Comfort, Community, Confess, Courage, Faith, Fear, Forgiveness, Gentleness, Grace, Gratitude, Healing, Hope, Joy, Kindness, Love, Mercy, Obedience, Peace, Poetry, Possibilities, Praise, Purpose, Strength, Surrender, Trust, Voice, Worship and tagged activity, ahead, charge, cleared, continue, darkness, deepest need, delicate balance, destroy, fall short, fearfulness, fills, flooded, floods, forgive, fulfilled, future, given, God, grace, grants, heal, hearts, held, hold, Holy Spirit, hope, influence, joy, know, known, look, Lord, love, meets, need, never fail, outcome, patiently, personal struggle, places, points, presence, prevail, progress, ready, resume, Romans 5, sanity, satisfy, see, seeks, show, spaces, struggle, sustain, teach, trust, wait, wisdom. Bookmark the permalink. 1) Our words affect others. What we say has the power to change us and others, and there are always people listening. 3) Our words either build up or burn down. The tongue has the power of life and death, and those who love it will eat its fruit. Words matter. They always have. As a writer, I think I have always been particularly sensitive to the impact of words. From a young age, I learned the power of words through reading, observing, and understanding how they made me feel – for better or worse. On our own, we will say that which we ought not to say, and harm those we long to help. So what can we do? The three take-aways from yesterday’s message were great reminders of how we can best be certain that the words we use build up, rather than burn down. First, we must be slow to speak. James 1:19 tells us: My dear brothers, take note of this: Everyone should be quick to listen, slow to speak and slow to become angry. If we slow down, and think first, we are able to hear His voice, and speak the words that He has for us to say. Next, we need to put into our heart what we want to come out of it. Finally, brothers, whatever is true, whatever is noble, whatever is right, whatever is pure, whatever is lovely, whatever is admirable – if anything is excellent or praiseworthy – think about such things. – (Philippians 4:8) Good in, good out; enough said. Finally, rebuild what has been burned down. This means that we must repent when we hurt another with our words. Repentance goes beyond simply saying I’m sorry, as it is a turning away from the old patterns and moving forward into a new way of speaking. An apology is empty words if there is not a demonstrated heart change that follows. or make a man fold. those with no more rope. all praise to His Name. 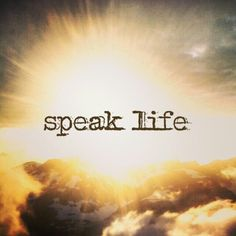 Dear Heavenly Father, thank You that in You, we have the power to speak life into others. Thank You that when we are slow to speak, invest our heart in things of You and are quick to repent, others may be built up and pointed toward abundant life in You. Forgive us for the times that our words have affected others negatively and we have spoken without listening first. Teach us to trust You more, so that we will slow down and listen first, trusting that You will provide that which we are meant to speak in all situations so that light and life are passed on to all. Lead us to love in such a way that others may too burn brightly in the light of Your lavish love. Be glorified O God, as we speak life to all whom we encounter. Amen. This entry was posted in Awe, Blessing, Comfort, Community, Confess, Courage, Faith, Fear, Forgiveness, Gentleness, Grace, Gratitude, Healing, Hope, Humility, Kindness, Love, Mercy, Obedience, Offering, Poetry, Praise, Purpose, Strength, Surrender, Trust, Voice, Worship and tagged admirable, affect, be light, bless, build up, burn brightly, burn down, certain, choice, common foundation, curse, declare, excellent, faith in action, Father, feel, fold, forgive, God, gracious, hear His voice, heart change, heart leads, highlighted, impact, James, James 3, lavish love, lead, life or death, listening, Lord, love, lovely, modeled, morning, Name, noble, observing, overflow, pain, passage, pastor, Paul Zimmerman, point of reference, points, power, power of words, power to change, praise, praiseworthy, pure, quick to listen, reading, rebuild, repent, right, save, sensitive, shine upon us, slow to speak, speaks, teach, The Power of the Tongue, together, tongue, topic, true, trust, understanding, weak, weary, words, words matter, writer. Bookmark the permalink.